Settled in Saudoy since the end of XIXth century, the Vignier Champagne house has fostering a unique know-how and a precise work. From now on, managing by Jean Philippe, who belongs to the fifth generation of Vineyard keepers, the family house wants to develop a new vision of the Champagne sector, taking into account the challenges of tomorrow. The Vignier Champagne cultivates 9 hectares of Chardonnay divided in four villages : Saudoy, Sezanne, Barbonne Fayel, Plessis-Saudoy. Jean Philippe Vignier works in his vineyard respecting strict rules and using the most respectful wine process. 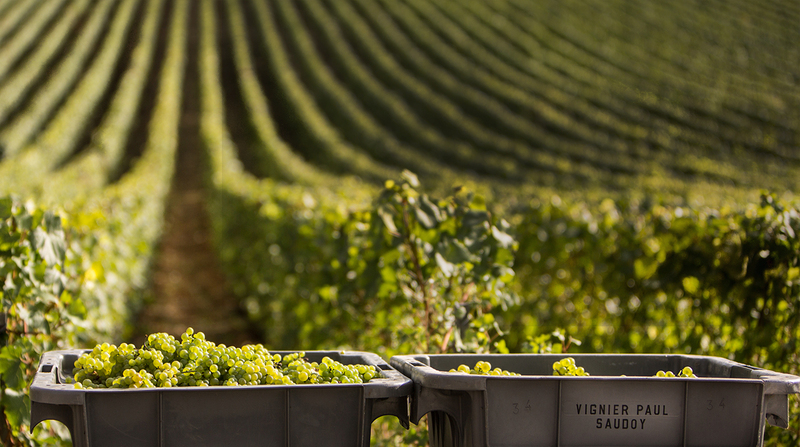 By cultivating on his vineyard one of the best product: Chardonnay, Jean Philippe Vignier has made the right choice. This predilection of grape, whose smoothness and minerality offers delicate and fragile aromas, has been flourishing on the limestone land of Sezanne’s hillsides for more than 3 decades. Thanks to this excellent know-how, the Vignier Champagne house is proud to provide a high quality of Champagne Blanc de Blancs. Alcohol abuse is dangerous for health, please drink responsibly. Please consume with moderation This is a temporary site.